Patients of GP surgeries were asked a series of questions about their experience on behalf of the NHS in March 2018, including how they rated the surgery where they are registered. Among the GP Patient Survey satisfaction categories was 'Experience of making an appointment'. 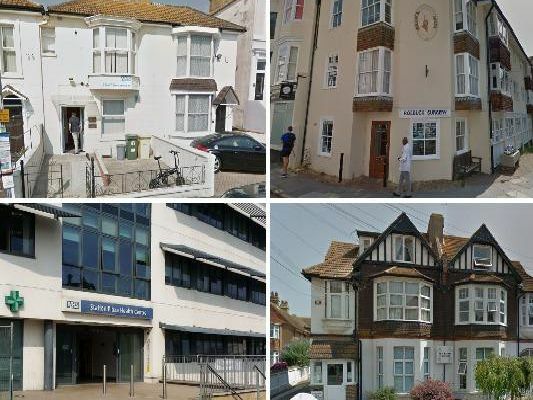 These are the Hastings surgeries (ranked by the percentage of respondents to the NHS survey) who were satisfied with the experience of making an appointment at the respective GP surgeries. Station Plaza Health Centre, Station Approach, Hastings, East Sussex, TN34 1BA. 44.4 per cent of patients are satisfied with their experience of making an appointment. 44 Turkey Road, Bexhill-On-Sea, East Sussex, TN39 5HE. 45.6 per cent of patients are satisfied with their experience of making an appointment. Marlborough House, 19-21 Warrior Square, St Leonards On Sea, Hastings, East Sussex, TN37 6BG. 49.3 per cent of patients are satisfied with their experience of making an appointment. Station Plaza Health Centre, Station Approach, Hastings, East Sussex, TN34 1BA. 50.7 per cent of patients are satisfied with their experience of making an appointment.